Thanks for visiting :o). My Design Days report shows that today I worked on these 2 characters. 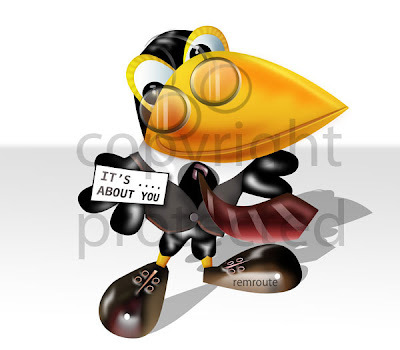 A South American Insurance Executive: A Mascot and it is a bird! My 3D character version of the Toucan with a cute smile and a vest. 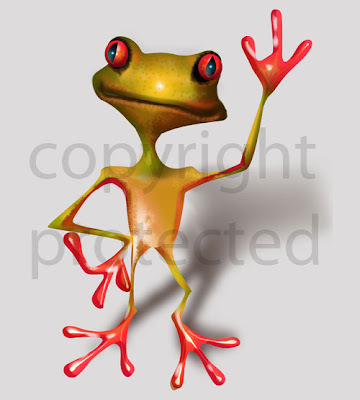 a Bizarre/scarey looking Amazon tree frog: Ugh! he scares the hell out of me too! ;o)I scrapped it anyway!